About us - kinderhilfswerk-anajos Webseite! Do you have questions or lack of clarity contact us here. In a manifold wies that time their are five comitted full time employees hired (teacher, CapoeiraCoaches, administrator) based on the successful concept „Education through Capoeira“. They recive less than the minimum wage because of lack of finanicial medium a month. For volunteer they do works as janitorial, capoeira teachers, help by homeworks and also childcare. Hailton Francisco da Silva founded the capoeira club „ideal capoeira“ in the year 2002. From the beginning he supports the project ideel and also financially. He and several members were the initiators for the establishment of the association of Anajó Austria in July 2010. Based in Feldkirch Austria. 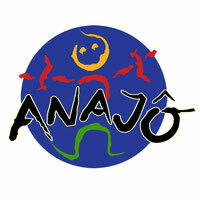 There is a close cooperation with the Club „IDEAL CAPOEIRA“ and the Club Anajó in Guarabira Brasil. Desicions concerning the projekt be taken by the board of Directors at meetings. In addition to in-depth school tutoring and homework, the children from the ages 2-16 they also get some psychological support by the help of the traditionall dance-fight capoeira. In Return for the free tutoring and capoeira teaching and also one free meal a day, the Kids of Anajo have to go to School. A fair deal. Through this regulated daily routine, the charme of the Street, the drugs and the crime could be defused. Unfortunately we can care only a small group of children. Because of financial and spatial reasons. From the Brazilian State we get no aid because anajo will not commit to a political party. In South American Countries it is necassary to do that. Anajo deliberately doesn´t want that, to remain independent. To make free decisions. Anajo is looking for more partners for the sustainable financing oft he project.